Excessive noise between flats is one of the prime concerns of today’s architect and housebuilder. 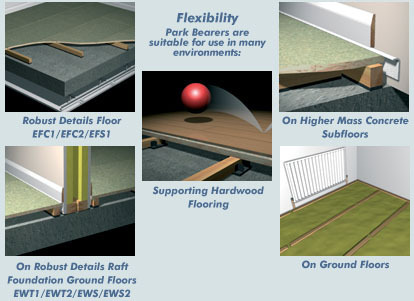 Park Bearers provide a highly effective method of reducing impact and airborne sound transmission through concrete party floors as part of a dry floating floor construction. 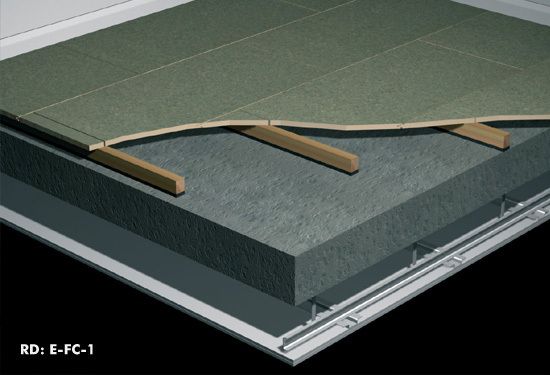 Dry floating floors eliminate the delays caused by the drying out of screeds and the cavity created by the bearer can accommodate services running under the floor. 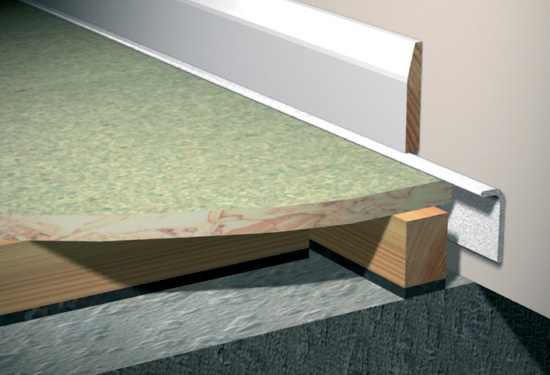 The sound insulation of party floors is a necessary requirement of the Building Regulations. Methods of satisfying the Regulations are set out in Approved Document E in England and Wales, Section 5 of the Technical Handbook in Scotland and Technical Booklet G in Northern Ireland. In addition the construction of Robust Details can provide a method of compliance in Scotland, England and Wales. The Danskin Park Bearer contributes significantly to the reduction of impact and airborne sound through concrete party floors. 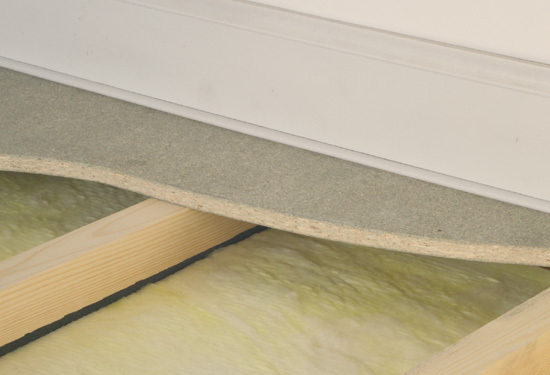 When used with appropriate structural floor and ceiling constructions it has been independently demonstrated to meet the performance standards of the Building Regulations in Scotland, Northern Ireland, England and Wales. 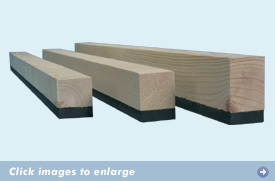 In addition it has been approved for use as an FFT1 and FFT3 bearer in many Robust Detail constructions. Laboratory values for Danskin Park Bearers are shown in Table 2. Please refer to Danskin Performance Data Sheets for site test information on the Danskin Park Bearer with different structural floor and ceiling combinations. 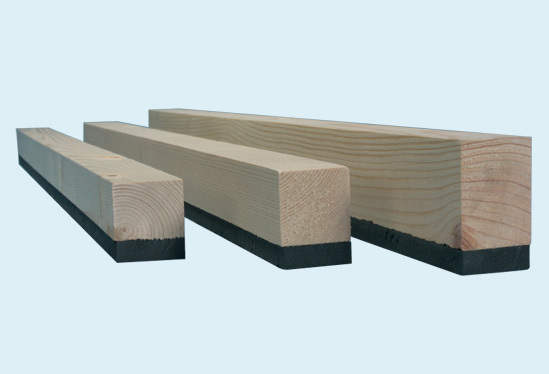 Danskin also provide a Specification Questionnaire which can help ensure that, where available, an appropriate test certificate can be provided to justify the specification of the product.